On Monday evening (20 May), the Legal Futures team will be joining thousands of lawyers and legal support staff from all areas, who are taking part in the London Legal Walk to show their support for the Legal Support Trust and access to justice. We are also one of the walk’s sponsors this year. Now in its ninth year, the number of participants has grown to a record 7,200 walkers for 2013. While it’s a popular social and fundraising event, giving the opportunity for former colleagues to meet up, law firms to network and lawyers of all disciplines to talk anything but shop, the walk itself has come to represent the need to ensure that everyone has access to justice. 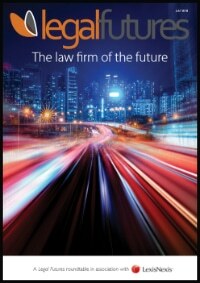 Recent cuts to legal aid have been met with fierce opposition from the entire legal sector, who fear that these cuts will have a much longer lasting negative impact on access to justice than the short-term financial gain they may bring to the economy. 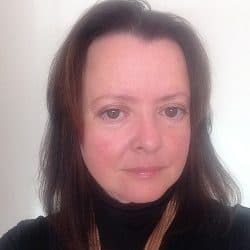 The London Legal Walk raises money for the London Legal Support Trust which helps organisations like law centres and Citizens Advice give legal advice and support when needed. 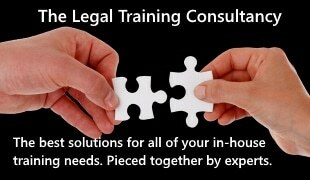 The centres used to be able to recoup some costs from legal aid, but this option has now reduced dramatically and so many rely on charities like the Legal Support Trust to help them do their vital work. 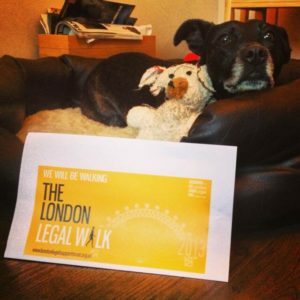 Legal Futures is proud to sponsor and take part in the London Legal Walk and to be led by our team leader Heidi the News Hound. We know that many of you will already have sponsored your own teams or individual colleagues in the walk but if you’ve not yet, then please do sponsor us at our fundraising page and help support a deserving cause..